Get twice as much style with this versatile reversible jacket! 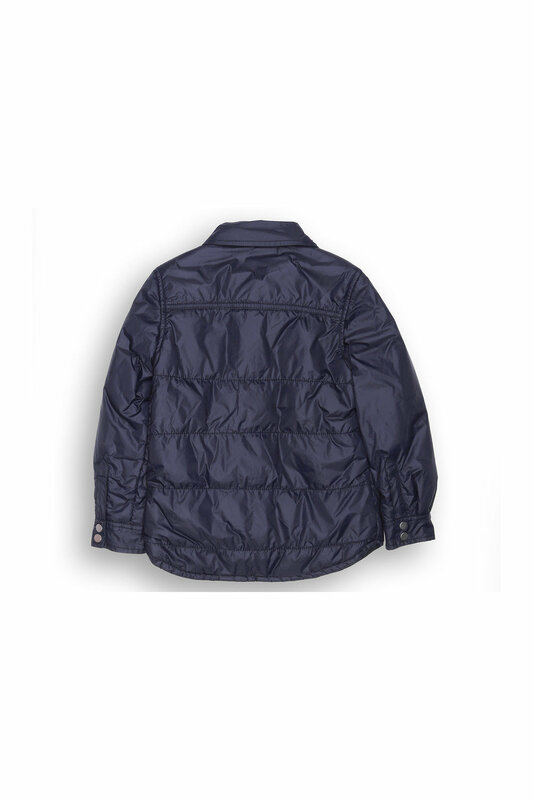 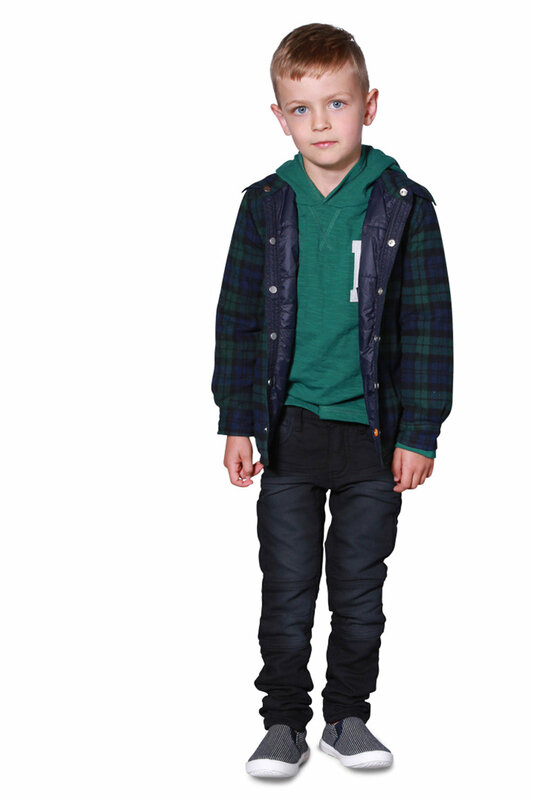 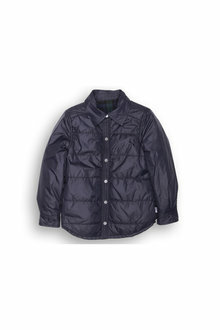 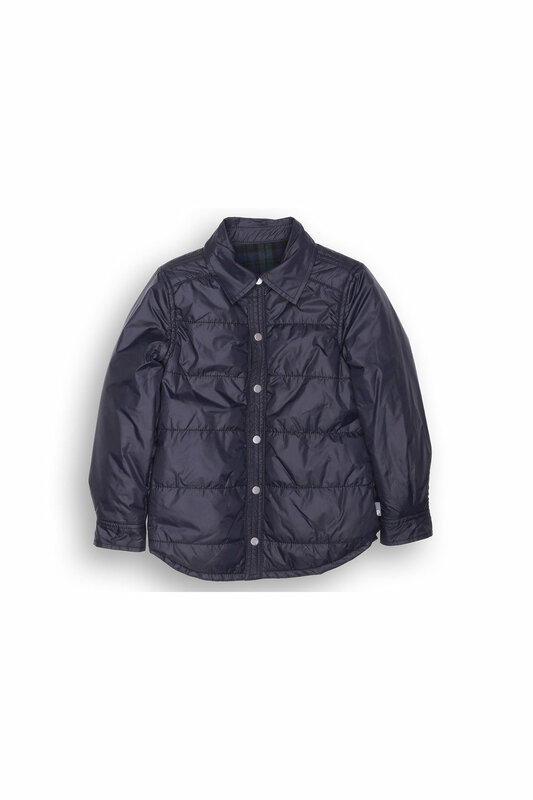 A flannel check shirt on one side and a lightly padded jacket on the other - it's sure to become your little one's go-to shirt-jacket for the colder months. 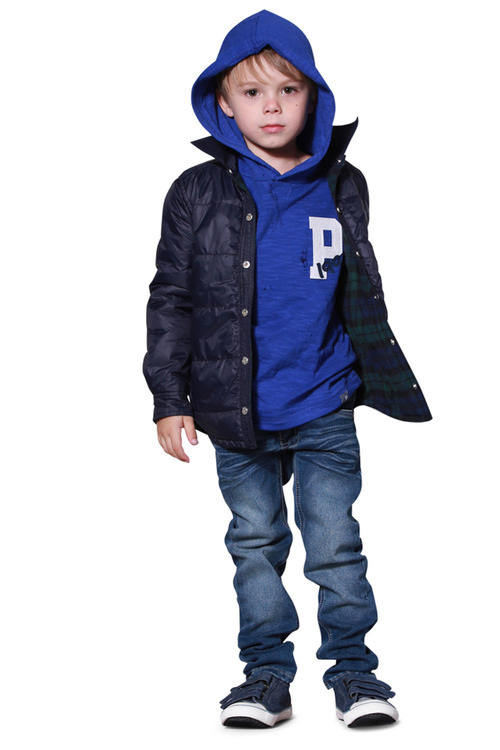 It features a press stud fastening on front with a contrast bottom button so your little boy can always button up right.